The ratio is expressed as follows: “6.3:1.” In this case, it means that the reel recovers 6.3 turns of line on the spool to one turn of the handle. The average recovery in cm and expressed the TMV abbreviation, is the average amount of line recovered per turn. It’s a given that the less accurate since ratio recovers less quickly with an empty spool and faster with a full reel. For easy understandung, a casting reel with fast ratio (> 7: 1) is recommended for fishing with soft lures, rubber jigs, jerkbaits, spinnerbaits small and medium, lipless crankbaits and surface lures. 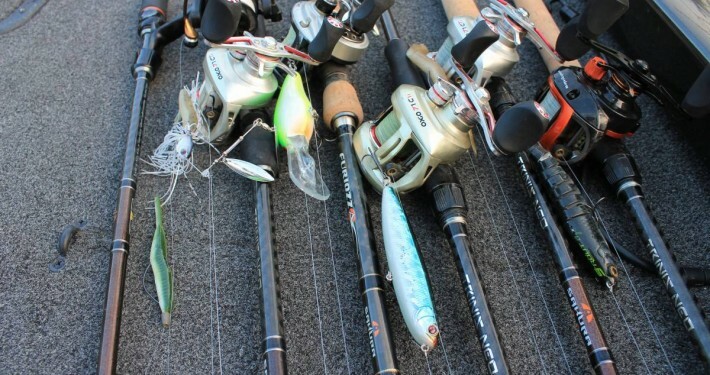 Slow ratios (< 6:1) are preferred for big baits, spinnerbait in medium and large sizes, including slow rolling, and for crankbaits deep divers. Intermediate ratios (6.2: 1 or 6.3: 1) are the most versatile and can serve as a basis for choosing his or her first reel. To illustrate this explanation here is an overview of our range of casting reels and their ratio and recovery speeds.